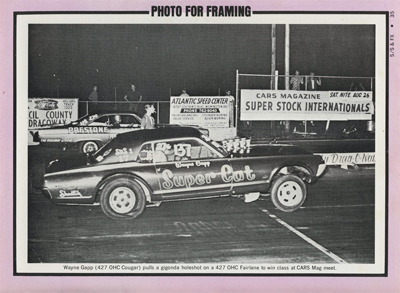 Quaker State and the ‘Super Cat’…”Look what ‘The Cat’ dragged in – 4 big wins. Been awhile since we’ve seen the SuperCat here. This was pulled from a ’68 issue of Cars Magazine. This is meant to be for framing…and the purple-ish color is the original color of the border. Yikes. Wayne Gapp (427 OHC Cougar) pulls a gigonda holeshot on a 427 OHC Fairlane to class at CARS Mag meet. This is from an insert into the 1975 Press Kit, the cover of which can be seen here. It is a well established fact that Ford has been the most dominant brand in Pro Stock competition during the past two years, and the biggest factor behind its power has been the winning record of past two years by Michigan-based team of Wayne Gapp and Jack Roush. As pair of former Ford engineers who had played a major role in the development of Ford’s SOHC 427 and II Boss” 429 racing powerplants, Gapp & Roush were able to accumulate a wealth of technical knowledge during the middle 1960’s became a solid foundation for their extremely successful efforts. It was in fact one of Gapp & Roush’s personal technical developments that boosted Ford to its present position today, that being the creation of (the -ed) an exhaust port aluminum plate that reworked the port shape so as to provide tremendous breathing potential for the 351 Cleveland engine. That little bit engineering wizardry took place late in 1972, and since that time, Ford machines with those types of cylinder heads have made it to the final round in 13 out of 15 NHRA national events that were run in 1973-74, and Gapp & Roush entries running in 9 of them. 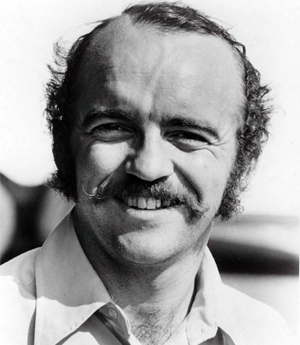 Other Gapp St Roush feats assembled during that era include the NHRA World Championship in 1973 and the IHRA World Championship in 1974. For Wayne Gapp and Jack Roush, their success story has been one of a steady and consistent rise in performance and winnings, sprinkled with a number of significant innovations along the way that have proved to be the deciding factors. Before joining as business and racing partners, Gapp and Roush had earned names for themselves on an independent basis, each campaigning a series of strong running Ford-powered cars. 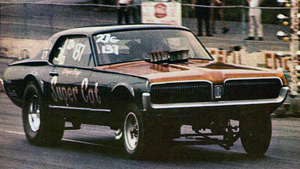 Gapp’s initial efforts came with a 1965 A/FX Mercury Comet that set the B/Experimental Stock National Record of 10.27 seconds, and later he moved on to his “Super Cat” Cougar, first running the SOHC 427 and later switching to the “Boss 429”, an engine which he also help engineer for NASCAR applications. Roush in the meantime had done quite well with Super Stock Fairlanes and Mustangs, running with the famed “Fastbacks” team in the late 1960’s. 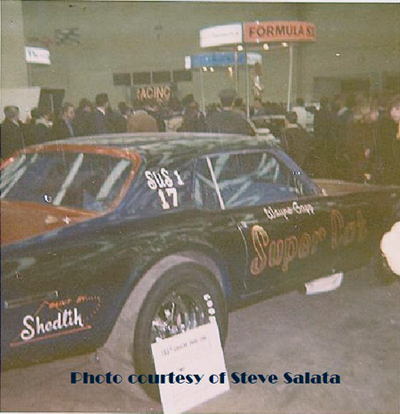 In 1971, the pair joined forces to campaign their first “Boss 429” powered Maverick, which was replaced by a hastily constructed “budget” Pinto in 1972 that was sold to Bob Glidden at the end of the year, and he drove the entry to runner-up honors in the that season’s Supernationals. 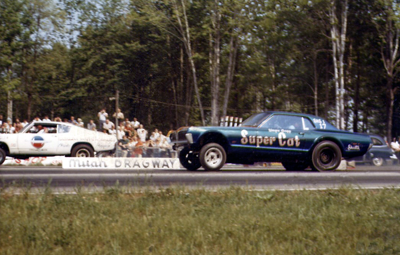 It was the second Gapp & Roush Pinto that established them as stars in 1973, what with runner-up showings at the NHRA Gatornationals and U.S. Nationals, followed by wins at the World Finals and Supernationals. IN 1974, the craftiness of their combined thinking really became apparent as they came up with a 4-door Maverick, specifically built to take advantage of a loophole in the NHRA rules, allowing them to run the same engine at 125 lbs. less weight. The move established Gapp & Roush as master pre-race strategicians as they quickly won the Grandnational-Molson and scored runner-up finishes at the Summernationals and Supernationals/World Finals. By finishing the year with an IHRA World Championship, an NHRA Division V Pro Stock Championship, a second place finish in the NHRA World Championship standings, as well as a best-ever 80% won-lost record in match race competition, Gapp & Roush concluded what has to be regarded as their finest season to date. This steady improvement over the years is perhaps the strongest asset to the Gapp & Roush operation, and it is the qualified opinion of many of drag racing’s trackside experts that their peak is more than a few campaigns away. In any case, the Gapp & Roush story doesn’t end with performance. 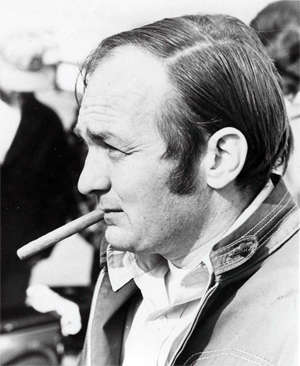 Acutely aware of the professional needs of racing, especially in its presentation to the general public, Gapp & Roush have become one of drag racing’s finest examples of what can be best termed as a “clean act”. All of their race cars have been among the sharpest appearing, with their traditional blue, red and white paint schemes designed by commissioned artists and carefully applied by custom painters. Gapp & Roush themselves always appear at the tracks in uniforms that are color-keyed to their race cars’ paint designs, and their articulate, easy going personal mannerisms have made them a popular hit with fans, track promoters and automotive media. In conclusion, Gapp & Roush are leaders in all the important aspects of today’s professional racing needs, and the momentum gained by their tremendous seasons of the past few years can guarantee only better results in the future.